In marketing—and especially data-driven channels, such as paid search—actionable insights are your best friend. For PPC advertisers, having the most relevant and recent data possible is particularly important, considering that they're competing in real time (usually with real budget constraints) for clicks. Late in 2013, we shared the results of research that showed SMB advertisers are basically throwing approximately 25% of their AdWords budget away. First off... stop doing that. But that's easier said than done, right? Performing a PPC account audit is the first step toward a healthy paid search account. You can go about performing that audit by manually diving into your PPC account's data. But there are alternatives. 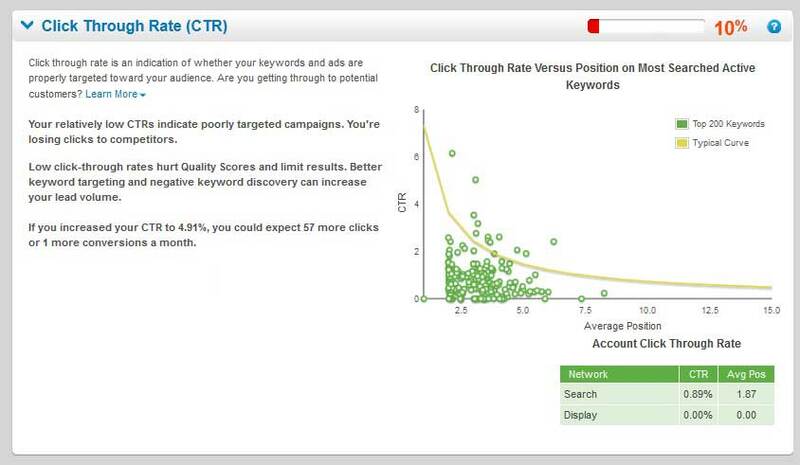 To analyze Google AdWords accounts and derive insights and recommendations to better optimize spend, targeting, and overall performance, WordStream (my company) developed the free AdWords Performance Grader Plus tool, which grades keywords, ads, and campaigns using an algorithm that considers more than 60 factors. Within the reports it generates, you'll find the following five insights that are critical to your PPC success.